BIS Publishing Courses: Caribbean Author Uses the Book 'Self Publishing Successfully: A 20 Step Guide' to Self Publish SUCCESSFULLY! Caribbean Author Uses the Book 'Self Publishing Successfully: A 20 Step Guide' to Self Publish SUCCESSFULLY! Jacqueline E Alleyne becomes our latest BIS Publishing Courses' student to successfully self publish. “But here's the thing, she didn't even attend the extremely popular course the “1-Day Intensive Course For African Caribbean People who want to Self Publish Successfully”. That's because we're based in the UK and Ms Alleyne resides in the beautiful Caribbean island of Barbados. 'Self Publishing Successfully: A 20 Step Guide'. This was all she needed in order to join our many authors on Amazon and other major booksellers. Well that's enough from me why not listen to Jacqueline E Alleyne's story. Want to take advantage of this amazing offer, then just email us whist stock last and before 20th December at [info@bispublications.com] and we'll let you know how to get the products. This will make a great Christmas/ Kwanzaa gift. Labels: Caribbean Author Uses the Book 'Self Publishing Successfully: A 20 Step Guide to Self Publish SUCCESSFULLY! 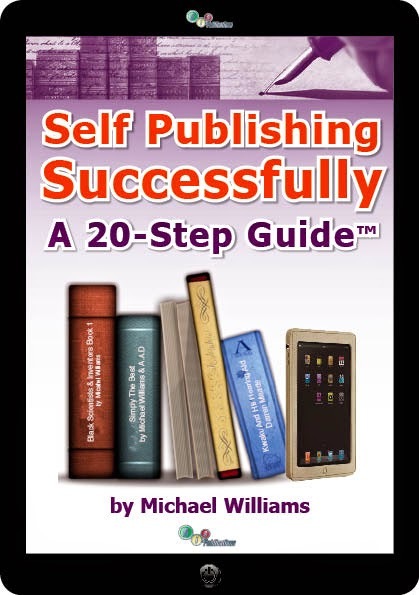 Receive For Free: The Michael Williams' Self Publishing Guide Chart When You Join Our Mailing List. BIS Publications. Simple theme. Powered by Blogger.